OneDocs will transform your communications both internally and externally. Multi system compatible, can be used with any system that produced an XML output including multiple systems at one time. OneDocs is not limited to a single system. OneDocs takes raw data from your system (including Avante/Infoflo ERP systems) and merges that data with a Microsoft Word template. 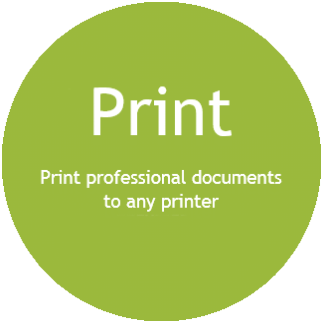 Using the Microsoft Print Engine the document can be printed using any connected print device (Laser, Inkjet, Label Printer etc.) and/or be routed electronically via Email. No more pre-printed stationery, OneDocs is a complete print solution. And changes to the output documents are easy as there is no scripting involved at all. The Word template can be altered easily by any user. Fonts, colours and graphics are changed in the tool that everyone is familiar with. Complex document management is easy with the OneDocs solution. The form template can be selected based on data criteria, so different operating units within the same business structure can present a different ‘face’ to customers and suppliers. 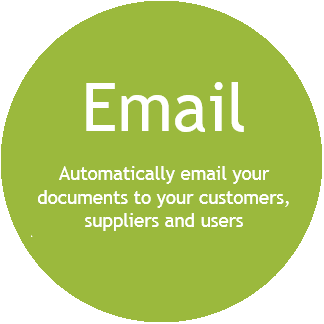 Documents can be automatically emailed to suppliers and customers with copies automatically sent to internal users. Our complete OneDocs package includes software, training and your first two forms designed and implemented. Making changes is easy with OneDocs because there are no complex scripting languages to learn. In fact you actually use Microsoft Word to make changes to the form templates such as fonts, colours, graphics etc. With OneDocs you will be making these types of changes to your forms in minutes instead of hours or even days! OneDocs can automatically email (in both PDF and Microsoft Word formats) and/or Print. You can even "mix and match", so if your customer wants the forms automatically emailed, but you want internal copies printed, OneDocs has this functionality built in. OneDocs utilises the printing engine in Microsoft Word so it will work with any printer (network or local). The graphics are crisp and clear in both colour and black & white. OneDocs supports both landscape and portrait style forms. The data will take on the font characteristics of the merge field providing a powerful design feature. OneDocs supports printing of barcodes on any of the forms, OneDocs is release independent and therefore will run with any Unidata/Universe system. You can use the View mode form with Avante/Infoflo to display the actual forms.